If you’ve been trying to convince your boss that an iPhone is a reasonable business expense and will help you do your job, just wait until the next time she calls you on the weekend with a tech problem. The best part is, you won’t even be lying (except for the yacht part). Despite the perceptions of many that Apple’s popular handheld device is only good for consumers who like to play games and listen to music, it definitely has some features that give it real business grit. A built-in Virtual Private Network (VPN) connection from Cisco means you can safely and securely access your business network from the iPhone. Now, applications are taking advantage of that to offer an authentic remote desktop experience. It’s a life-saver for the IT pro on the go, and a great way to convince your superiors that you really do need that cool toy. But if you still can’t convince the boss about funding an iPhone, fear not – these applications will also work with an iPod Touch and a Wi-Fi connection. IT World Canada’s own IT administrator, Matheepan Panchalingam, helped us pick out these four must-have iPhone apps for IT pros. This handy application from Olive Toast Software solves the problem of not being able to store files on your iPhone’s local memory. 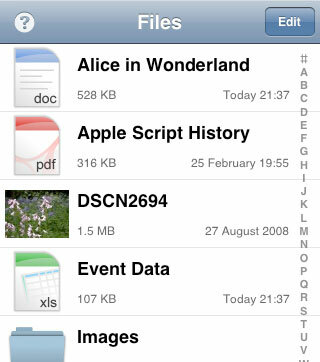 You can connect your Mac or PC computer to a shared folder on your iPhone using a Wi-Fi connection, then simply drag and drop the files you want to use on your handheld – it will support Excel, Word, PDF file formats plus photos, audio and more. The app allows you to set a password to gain permission to open a document. You can also set up a secure user name and password to access files on the device remotely. Aside from displaying text and spreadsheets in an easy-to-read format, Files also handles multimedia well. View photos at full screen size and use your typical pinch and swipe gestures to zoom in and pan around. Audio files can be played back right in the application. You’ll be able to bookmark files, or even a specific page in a longer file. You can also use a search bar to filter your files. A new feature in version 1.3 allows you to e-mail the files as attachments directly from the app. Files Lite is a free version of this program that comes with a 200 MB storage limit. Upgrade to the full version for $5 and the only limits will be your device’s memory capacity. 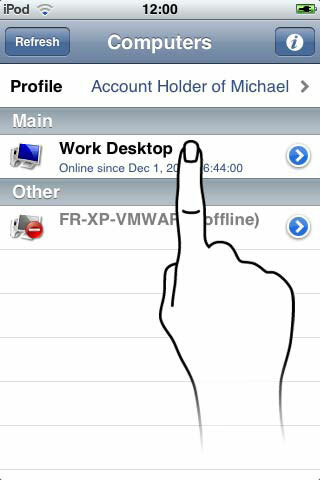 From Thinstuff, this app allows you native use of the Remote Desktop Protocol to view and control a Windows desktop via your iPhone. It’s perfect for helping a user troubleshoot any problem that crops up. iRdesktop makes it a pleasure to use your desktop with limited screen real estate. Similar to the Safari browser, you can pinch and swipe your way to proper screen magnification and placement. The mouse is emulated to allow for all the same functions you would have if you were really holding one. You can even view the screen in portrait or landscape mode by tilting your iPhone. Use this app with your VPN client and you’ll get secure access to your business computers, Panchalingam says. There are also other advantages over various remote desktop apps. Not only is it free, but it’s under an open source software licence. So you can redistribute it and even modify it, if you really want to tinker. For computers with Windows XP home, Vista Home, or Vista Home Premium, you’ll need to use an alternative to Terminal Services that is provided by Thinstuff. For those who use LogMeIn to gain remote access to company computers, a free iPhone app is available. But if you don’t already have an account, it costs $30 for the application. You’ll be able to see a list of computers that are available to connect with and their online or offline status. You can save the passwords for these computers so it is easy to access them. If you really need to take control and you’ve got a pesky user at the other end, just lock off their keyboard and blank their screen while you fix the problem at hand. Hey, even IT pros need to have fun. 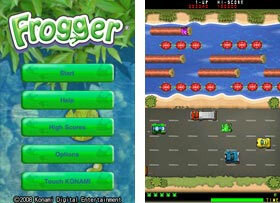 When you can’t take your yacht out for a spin, you can at least enjoy leading frogs to safety across busy highways and waterways in this classic Konami arcade game. If you need to vent your frustration over your boss for not approving that iPhone – just pretend your boss is the frog and watch it get squished!